Singer-songwriter Shawn Mendes has announced that he exceeded his goal to raise $25,000 through his Represent Campaign to benefit Pencils of Promise (PoP). The “STITCHES” singer, launched his #BuildASchoolWithShawn campaign on October 14, sparking a worldwide trend on Twitter. He has now hit 164% of his fundraising goal to build a school in rural Ghana with the non-profit education organization. Shawn funded 98% of his campaign after just one social media post, showcasing not only the power of his fans and community, but also how young people can affect and fuel social change. 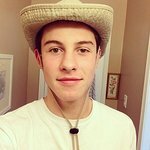 Shawn, who was recently named one of TIME Magazine’s 30 Most Influential Teens, winner of Choice Male Web Star at this year’s Teen Choice Awards, as well as winner of Best New Act and Best Push at this year’s MTV European Music Awards, raised funds through an innovative Represent Campaign allowing fans to purchase exclusive merchandise with proceeds benefiting Pencils of Promise. Shawn was deeply inspired by the campaign and looks forward to continuing to build more schools with Pencils of Promise in the future. PoP was founded in 2008 with the goal of increasing quality education for children in the developing world. Since inception, the organization has built over 300 schools and educated more than 30,000 students.